New Mexico schools provide a variety of health-related services to students. IDEA and Section 504 require schools to accommodate students who have a disability and are in need of educational and other related services. The expense of these services is managed by the school districts through a combination of federal, state, and local funds. The Early and Periodic Screening, Diagnosis, and Treatment (EPSDT) initiative gave states the authority to reimburse schools for the expenses incurred for health services (including screening activities) provided to Medicaid eligible children as part of their IEP or IFSP. Southwest Regional Education Cooperative coordinates the use of Medicaid reimbursement funds to improve health related services for all students in our member districts by maximizing Medicaid reimbursement for school-based services provided to eligible students in compliance with IDEA. We work closely with individual school districts to support clinician training and billing for these services. We bill Medicaid for both service fees and administrative claims to maximize our schools’ reimbursement funds. For questions pertaining to our services or the billing of them, please contact Casey Andrews-Hedge or Twila Welch, our resident experts. 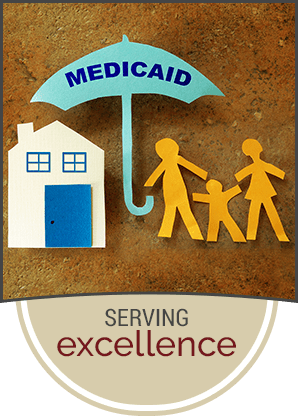 The Southwest REC provides data entry and processing of Medicaid billing for District 10 (Animas, Deming, Hatch Valley, Lordsburg, Reserve, and Truth or Consequences). This service encompasses direct service logs and administrative time studies. ensure provider licenses are up to date and current copies are furnished to the SWREC. Administrative time studies are given to calculate the amount of time spent administrating school-based health services. This is a completely separate accounting from clinical time sheets but includes the number of hours personnel are involved in documentation and paperwork for student services. Time studies are given quarterly to participating schools. Please take the few moments necessary to complete and return them; they do affect the amount of money your district receives as well as the salaries of some of your related personnel.